This little 3 ft gauge line of just under 20km ran from Baños de Sierra Alhamilla to Almería. The story of the line could well be the plot of a tragi-comedy melodrama with heroes and villains everywhere. The problem is in sorting out which is which! 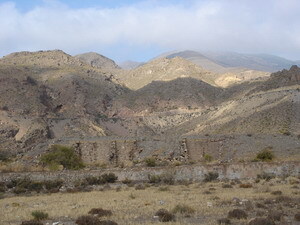 The Sierra de Alhamilla, in common with much of Almería province has a history of mining going back thousands of years. The bronze age settlement at Los Millares where copper was smelted is only a short distance away. However, in the mid 19th century, lead was the main ore being extracted. A gentleman from New York, by the name of William Dexter Marvel, owned and leased several mines in the Sierra Alhamilla and thought that a there was good opportunity to exploit them by building a railway to Almería. As well as exporting ore, Marvel considered that there was a market for passenger traffic to the nearby mineral baths at Baños de Sierra Alhamilla. At that time (the 1870s) the only access was by mule or on foot up the river beds, a journey which probably undid all of the good that the baths gave! There was a comment by Marvel in his report that “.. in general, communications in the province are sadly deficient.” ASAFAL (The friends of Almeria's railways) would sympathise with this comment today! The original project took a direct route, which involved some severe slopes and many bridges. It also proposed crossing the River Andarax at bed level (remember that in this part of Spain the rivers rarely carry water, although we have seen a flood several feet deep on one occasion). However, in the interests of cost the route was modified. 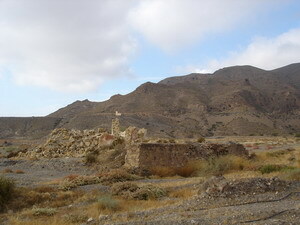 Not only was the terrain better, it would also serve the towns of Pechina and Huercal de Almería. Starting at the Sierra Alhamilla end, ore would be taken down the mountains on inclined planes to a valley. 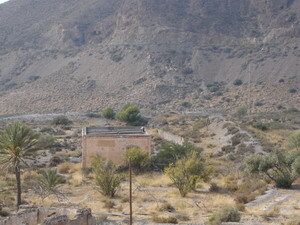 In this valley would be the terminus of a 3 ft gauge railway which went to Almería. The valley went on to the River Andarax. This would be crossed by an iron bridge. From there to Almería, the gradient would be slight. Initial work concentrated along the Andarax banks. Meanwhile, on the management front, things were happening worthy of a 19th century fantasy novel. William Dexter Marvel and one Robert S L Hall, moved to Almería to declare before a notary that on 21st April 1886, Marvel had granted a lease of the railway line of the Sierra Alhamilla with the Marvel Iron Company Ltd. This contract specified that Marvel had to finish the construction of the railway and equip it with 100 wagons and 2 engines before 1st December 1886. When this had been done, it was agreed that the lease would stay current until 30th November 1935. The leasing price agreed was 500,000 pesetas annually. The purpose of the lease was to “obtain the co-operation of capital adequate to the importance of the company". Marvel was unable to complete the work in the time stipulated because of problems caused by owners of the land crossed and the subsequent legal processes (a not unusual occurrence - see my book). A new date of 10th March 1888 was set for handing over the line. However, this would not now include the inclined plane from the mine to the railway line, which would be handed over later. Construction was completed in February 1888 despite a flood in 1887 washing away several parts of the line. According to the power granted to Guzman, made in front of a New York notary in June 1888, the railway was “to be found today to be complete and in service”. Furthermore it was “the unique and exclusive property of William Marvel”, since he had annulled the leasing contract. Also it specified in the deed that given that Stone had advanced the capital necessary for the construction and equipping of the line, he should be considered from now on to be the real and effective owner of the line and other goods belonging to W Marvel. The declared price was 250,000 pesetas. Given that some of the expropriations had not yet been completed, the representatives could not claim ownership of all of the goods transferred, or enter them into the property deeds. Thus, on 11th June 1888, the line and mines were transferred to G Stone. Subsequently, Marvel sent a request to the Queen Regent (King Alfonso XIII was only a boy, see my book), claiming that “He had bought and constructed a line but it had been stripped of everything". There are various indications of irregularity in the transfer process, which may explain the apparent illogical conduct of Marvel. In the first place, in the transfer document there is no mention of title to the property or railway. Secondly Marvel’s representative used paper without Marvel’s name appearing whereas Stone’s did. The whole authenticity of the transfer depended upon this document. And it is on the falsity of this document that the whole of Marvel’s case for ownership rests. As a consequence of Marvel’s declaration the Guzman-Verdejo transfer was suspended. In March 1891 the concession was transferred to a Manuel Francisco Requena and then in the same year to The Almería and Alhamilla Railway Company Ltd of 63 Billiter Buildings, Leadenhall Street, London. In this respect, in November 1891, the Mining Magazine affirmed that “This signature confirms the transfer of the line to the foreign company H Borner, that has emptied with great success, the pit at Herrerias. Messrs. Requena and Bobrzyke give the welcome news that work should soon commence on this very necessary line”. H Borner appears a lot in Almería mining stories, not always with great approval. See below what Marvel thinks of him. See also the section on the Lucainena - Agua Amarga line, where he was sacked, and also (when I have done it) the Almagrera lines which deals with the pit mentioned above. In view of his history one has to wonder how much truth there was in Marvel’s complaints - not that it did him any good. This is a summary of the complaint that Marvel made to the authorities. The book mentioned at the beginning has a much more complete account (in Spanish). “By 1874 I advanced money for the operation of various mines in the Sierra Alhamilla, of which I am the proprietor. I experienced many delays in obtaining the required legal documents. Despite this, and an outbreak of cholera affecting the Mediterranean ports, I came to Almería to construct the railway. There were many delays in land purchases that, prevented the completion of the railway until 13th February 1888. On 28th of the same month the chief engineer of the province examined the line and gave his report. Although there were parts that had not yet been completed – the inclined plane and the pier lines – material for these had been collected. There were delays because of a fault in the ground where the inclined plane was to be built. Regarding the pier, although the plans were approved by the Ministry for Development, Public works and Port Authorities, they got lost. Also there were construction problems with the port line. Then I wanted to create a new company to exploit the mines by leasing so that in the case of the failure of the concession, I would be able to continue operations without interruption. However, this type of operation was not currently used in Spain. I therefore decided to create a proprietorial company and in May 1888 sent Stone as an agent with powers. However Stone passed himself off as owner of the mines. Informed of this I cancelled the powers granted to Stone in September 1888. Despite this, the plot continued, aided by A Guzman and Ramón Laynez, former representative and lawyer for me in Spain. So by default and by bribery they validated the transference to Stone. 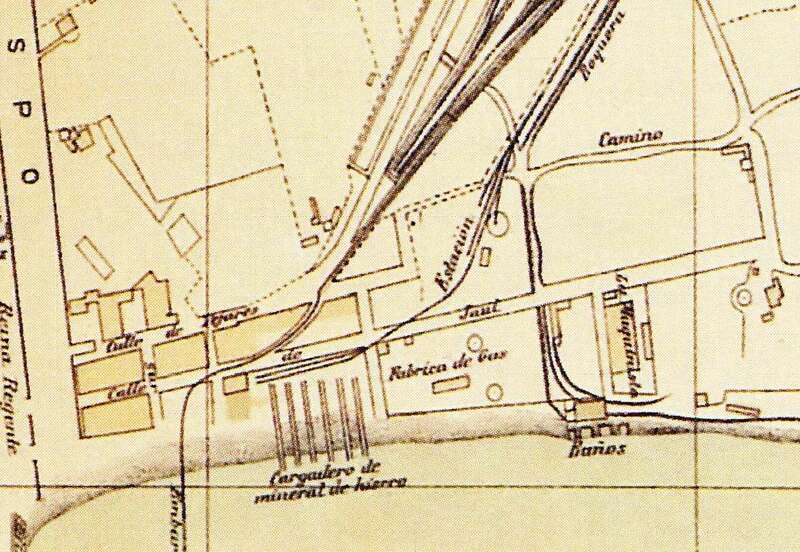 In 1891 Laynez, Guzman and Stone, in conjunction with Hall, Borner and Requena again transferred the concession and created the Almería and Alhamilla Railway Company that had no capital other than the concession. Stone then pretended to authorise debentures to the value of £32,000 that he shared with Laynez. The management of the company was in the hands of Borner but in 1896 Stone died and Borner declared the company bankrupt. From then the properties were robbed, the locomotives and wagons destroyed, the rails taken away and used for various purposes in farms, other piers or mines at Gérgal. A turntable, water tank, certain bridge girders and various other tools and goods have been appropriated by a certain Tomás Morel in a branch near Gérgal. The grounds have been occupied contrary to the law, and the ground near to the mole has been fraudulently sold by Messrs Laynez and Requena. Requena and Laynez hold at their farms and estates, many items stolen from my railway. These include rails, sleepers, wagons and a steam fire engine (in Requena’s estate). There are many tools at a factory, which now goes under the name of Carlos Bahlson and pretends to be the renter of the railway. (Bahlson was a well-known constructor, particularly in the Bedar Mines, but unlike Borner, I have not seen any evidence of dodgy activities by him). The railway is now in a deplorable state. It cannot be in the hands of the pretended company previously mentioned but those of a certain Tomás Morel and his briber Bahlson under a leasing contract contrary to rights and law as published by the Ministry for Development. The line has been removed in the town and pier. The foundation stone located in the Rambla de la Chanca (Now the Avenida del Mar, which leads from the port towards the castle. It seems an odd place to put it as it is far away from the line.) in Almería on 23rd June 1886 by his Excellency the Civil Governor has been sacrilegiously moved from its position. The box containing history, records, money of the time, and the document signed by the officials and many others has been stolen". All to no avail. Marvel’s claims were rejected and the transfer declared legal. Marvel also tried in America, as this cutting kindly sent to be by Antonio Moreno shows. Antonio has also found out that he was living in Flushing, Queens, where he was a politician, Democrat Candidate for U.S. Representative from New York 1st District, 1896. Click on the link below to see a copy of the plea. I don't know if he was successful although since this was the third attempt it seems unlikely. At the peak of iron export fever, the company was anxious to start operations. From 1888 only the two ends were missing i.e. the inclined plane and the mole. Until these were finished, export would not be possible. The proposed inclined plane was going to be very difficult and expensive so they opted for an aerial cable instead and in November 1892 mineral from the cable finally arrived in Almería. Faced with the need to transport iron from a new concession at Rioja, in 1894 the same solution as before was sought i.e. a cableway. The project came under the charge of Carlos Bahlson. In 1894 it was reported that, “H Borner and Company is preparing with great activity, the exploitation of open-cast mining at Alfaro. In only three months they have removed a great part of the sterile surface and have opened a gallery to facilitate the removal of mineral. An aerial cable between the mine and Sierra Alhamilla has been opened. The mineral discovered is a guarantee of the importance in the exploitation of these mines. Borner deserve applause for the contribution they have made to the development of mining in Almería”. But read on! Because of the delay mentioned above, in the construction of the branch to the mole in Almería, the Railway Company requested that it be allowed to build four small piers so that ore could be loaded into barges. These would take the ore out to waiting ships. For these piers they would use some land purchased next to the beach as deposits, see picture. This was a fairly common approach at the time where shallow anchorage or rocks prevented ships reaching close to the shore. Where deep water was not too far out or the company had more money, piers could be used as can be seen with the “El Cable Ingles" pier in the background of the picture. The main railway would be extended to the deposits. At this point the railway had achieved its purpose. It was able to take mineral from the Sierra to the sea and export it, although in a primitive and not very profitable manner. However it was not to last. In 1895 the H Borner suspended work. (Note that Borner also suspended work in the Sierra Almagrera – see that section). The creditors of Borner restarted operations at Alfaro. These creditors, if we give credence to Marvel, were none other than Morell, subsequent concessionaires and Bahlson, his representative in Spain. 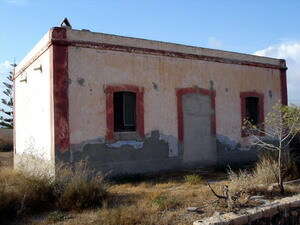 The Morell Brothers Company, through its subsidiary The Gérgal Railway company, was concessionaire of the branch line from La Cruz de Mayo near Gérgal and Gérgal station on the Linares-Almería line. The cutting on the left shows the bankruptcy hearing for Borner. As we have seen from Marvel’s statements, Thomas Morell had made contact with the railway. The Almería Iron Ore company, based in Cardiff and presided over by Morell, a subsidiary of Morell Brothers also at Cardiff exploited the Baños de Alfaro mines from at least 1903. In 1904/5 there were various transfers of power at the end of which “The Gérgal Railway and Mines Company Ltd" ended up as concessionaires of the line. As payment the Gérgal Railway handed over £7,020 corresponding to 270 mortgage debentures of those issued in 1892 by the Alhamilla railway for £32,000. The transfer also included 9,940 worthless shares in the old Marvel Iron Ore company. The transfers did not stop there, in fact they continued without interruption up to the abandonment of the line and its seizure by the state. 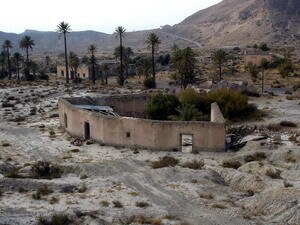 At the beginning of 1908, the house of Morell was liquidated and the railway and Alfaro mines were sold to the Alquife Mines and Railway Company Ltd.for 400,000 pesetas. This was the company that owned the “El Cable Ingles" pier. It was rumoured that this was because of the poor service offered by the South of Spain Railway (The Almería to Granada line, - not to be confused with the Great Southern of Spain Railway). Alquife were said to be looking for an alternative although how this shaky narrow gauge railway could be of any use is unclear. Perhaps they just wanted the track-way. Given the precarious state of the loading bay used then, the Alquife planned to build a line to link it to their main loading bay. This project was said to “give a great impetus to mining in the Sierra Alhamilla". Balmer presented a paper in the name of Alquife requesting a concession in July 1909. It was announced in a document dated 9th October 1909 with no opposition. The Port works Authority, the Commandant of the Marina, the Provincial Development Council and the Provincial Commission all approved it. However, procrastination and objections from the Southern Railway meant that nothing was done until the lines closure in 1925. Fate, which seemed to follow the line, showed itself again when in 1915 just as it seemed that better loading facilities would be provided, the mines became exhausted. In June that year the company sought permission to close the line. Permission was denied, why is not clear - was it anything to do with WW1? In July 1917 a subsidiary of the Alquife, the Chorillo Almería Railway Company Ltd. took over. From 1919, operations at the mine reached a flooded level. Pumping out was impossible for it would have been the end of the baths. Also it was doubtful that the silver seams found among the carbonates would be profitable. Mineral was not transported and income dropped dramatically. The recession of the 20s hit the mines hard. The numbers of trains running were reduced despite public protests. The only users were those who went to the baths in its two seasons. In fact, during some financial years there was more income from the sale of coal dust from engine tenders and workshops to private individuals than from tickets. Merchandise traffic was similarly scarce. The only thing the company got was the 1923 15% increase in tariffs (the GSSR got this as well). The Alquife Company kept the line going with heavy subsidies. In 1925 however it stopped operations and the line was mothballed. On 17th November 1927 the line was shut and a special train ran to gather material from various buildings. On 1st April 1928 the company abandoned the line. The expiry of the concession would be dragged out for years under the slow state process. Unbelievably this process dragged on for another 17 years. The saga would take too long to print here but a summary is shown in the timetable of events below. If you want the full text of the proceedings, please email me, details on the home page. 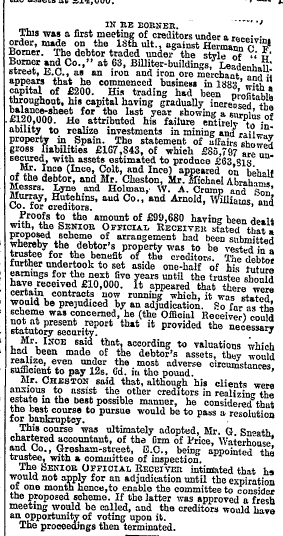 Although a major part of these mines belonged to the Railway Company, the property was much subsidised. Many of the concessions were held by small groups who refused to cooperate with each other. This meant that there was little in the way of cost reductions by pooling effort. This was not unique to Alhamilla, it happened in many places. The deposits at Alfaro were an extension of those at Baños and, at least partly, were exploited by the same companies. The house of Borner, under the umbrella of the Railway Company managed to extract a million tones of iron oxide. About ¾ of this was from Baños. Extraction reached a peak at the turn of the 20th century, but soon began to decline. Once the Baños oxide deposits were exhausted, the company began to take advantage of the layers of iron carbonates that lay underneath. It thus added a new and important field of operations even though they had to install a 35 ton barrel oven in 1913 for calcination. In the drillings made to find the carbonates they found some good quality silver but when they tried to dig a well they reached the water table. Unfortunately this was the same water that fed the baths at the spa, so it ran dry when they pumped out the mine and a government order stopped the pumping. Iron production continued to fall and in 1916 it was less than 6,800 tons. With the entry of the Chorillo - Almería company production rose again. In 1917 and 1918 it rose to 25,000 tons, but this did not last. In 1919 work was suspended. The Baños cable was 1,300m long in a single section. Alfaro was in two sections, 1,650m and 3,500m. Other than (possibly) some foundations there are no remains of the cables. At the start of the line there was at a turntable with four exits. Each had an inspection pit. Next to the turntable was a water outlet, fed from a pond on a nearby hill. An additional exit led to the sheds. In front were the workers’ living quarters. Nearby were four houses for employees, plus a further house for services such as toilets, well and store. The Chorillo buildings were used during the Civil War as a leper colony. According to some documents there were reported cases of contagion and the buildings were scheduled for demolition but this never happened. Although only the walls remain, most of the buildings can still be identified. When I visited there in 2005, the sheds were occupied by a tramp! The two pictures show the site today and a reconstruction of what the site might have looked like. An artist's (my) impression of the line! In the centre of the picture are the sheds. The line fanned out to fill the building. Behind this the workers accommodation buildings with other buildings off to the left. To the right, two lines lead to the station while a third goes to the Baños loading bay. The Baños cable rises up off to the right of the loading bay. A small passenger train is just leaving the station. The line curves away to the left on its way to Almeria. In the centre background, the Alfaro cable climbs the hillside. The main line crossed the Baños road, (now a dirt track superseded by a new road for many years) by a level crossing to the station proper. Here there were three lines. One led via a ramp to the Baños deposit, where it stopped. The other two continued through the station, where they joined. The cable terminal held the equipment needed to cross to the wagons. The station had 9 rooms, including the ticket office. Another view of the loading bay with the Sierra Alhamilla rising up behind. This was about 1 km from Chorillo. It had two tracks for manoeuvring ore arriving on the cable. Next to these was the building that housed pulleys and apparatus such as the framework that supported and guided the buckets over the wagons. There was also a well, which held the cable counterweights. There are a few ruins still there, but in a sad state. This had a building similar to Pechina. The sidings also had the same layout but were slightly longer. I have been unable to locate this building although it is supposed to be there. There were also two halts, one at Monserrat (5 km from Almería) and the other at El Ignenio (3 km from Almería). All trace of this has gone and the area is now used for buildings and a marina. Below are two maps and a picture. The first map, from the 1900s, clearly shows the line, station and loading piers. Compare this with the second, that shows the same area on a modern map. The picture shows the beach where the piers would have been, dwarfed by the huge "Cable Ingles". Looking at the old map, the six loading piers show clearly. They were separated by a distance that allowed tow barges to moor, one on each pier and were about 1¼ m above sea level. They were linked by a network of lines similar to that used generally on the line. On the piers themselves were two 600 mm Decauville wagons for discharging into the barges.The map also shows a couple of the station buildings, possibly the passenger station and the turntable. The line then goes off in a curve, eventually going parallel to the main railway. Other points of interest. 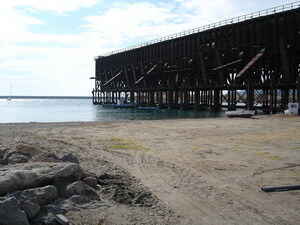 The Bairds pier was not built. It appears only on the new map (to the right, below the little park). The same goes for the huge storage building known as the "Toblerone" because of its triangular shape (south of the main line station). 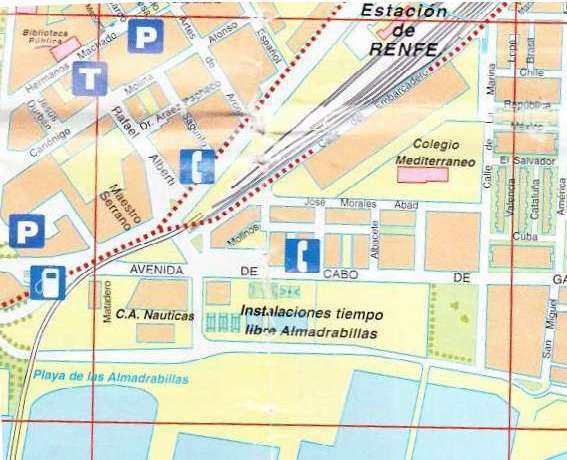 However, the old map does show the gas works (Fabrica de Gas). This was bombed by the nationalists in the Civil War and destroyed. The open spaces of 1900 are now completely covered by buildings and many of the roads have new names. The width eventually chosen for the track was 914 mm (3 feet). Only two other lines in Spain had this gauge, the Palma de Mallorca – Soller and the Irún – Puente de Endarlaza. It used Vignole steel rails in 7.5 m lengths. There were at least seven metal bridges. The most impressive was that over the river Andarax. Including the works, the line was 15.859 km long. Leaving Chorillo towards Almería the line went along an embankment, which alleviated the pronounced slope of the land. It then took a big left-hand curve and arrived at Alfaro halt. Continuing, the line tried to keep as straight as possible although it described some curves to pass round hills. Between Chorillo and the Andarax crossing was the section with the steepest slope. Near to Pechina the gardens of the Andarax valley began to appear. At 5km was Pechina station. Two kilometres further on, after two big curves, the line approached the Andarax River. Here it crossed the river by a bridge with a metal palisade perpendicular to the river bed. Once across, the line took a sharp curve left and followed between the river and the South of Spain line to Almería. At km 9 was Huercal station, near to its namesake on the main line. Across the river was Viator. From the Andarax Bridge to the end of the line, the railway described a long curve to the right. Up to Andarax, but after km 13 it ran very close to the main line. Passing Almería station it arrived at the loading piers. There were three 060 WT engines made by Arnold Jung Lokomotivfabrik GMbh of Jugenthal-an-der-Sieg. 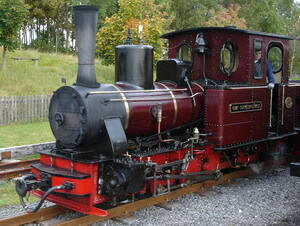 I don’t have a picture of the actual engines but the Brecon Mountain Railway in Wales has a Jung engine of that period which looks very similar to a picture of the original in the Spanish book. The three Jung engines were named Pechina, Huercal and possibly Almería. By 1945 the two remaining engines were in a poor state, particularly since the shed roof had blown off. The engines were too far gone to be restored and anyway there were no lines of that gauge left apart from Mallorca. So in 1945 or 1946 they were taken to Valverde del Camino and scrapped. There were some 40 mineral wagons plus about 10 special wagons such as those for equipment and merchandise. There were also 3 passenger coaches. All of the rolling stock was of very basic design with box-shaped two-axle wagons and wooden coaches. 15 Nov The project for a railway line, signed by the engineer José Maria Gómez. 16 & 25 Jun ROs approving project. 14 Jul RO approving conditions of concession. 15 Jun William Marvel was granted the concession for the line in agreement with the special law of 15th March 1880 plus the General Railway law, for 90 years. Work had to finish by April 1888.
? Work started on the flat sections. 23 Apr The owners sought permission for some modifications. They wanted to avoid the steep slopes and many bridges required by the original project, also producing a more even descent. The new route would also serve the towns of Pechina and Huércal that previously had been some distance from the line.
? William Dexter Marvel declared before the notary José María León with the aid of an interpreter that he had been granted a lease of the railway line of the Sierra Alhamilla with the Marvel Iron Company Limited.
? A flood washed away part of the line. 13 Feb Construction was completed on the level sections.
? Aug A deed of sale was signed between Marvel and Stone. The declared price was 250,000 pesetas. 11 Jun The railway was "to be found today to be complete and in service". Furthermore it was the unique and exclusive property of William Marvel to transfer to Stone. 30 Apr A judgement declared the transfer valid and stated that unless a petition was presented within 15 days the transfer would take place by default. 9 Oct No petition was received and the transfer took place by Royal Order. 17 Mar A RO authorised the transfer of the concession for the railway to Manuel Francisco Requena. 18 Dec A RO authorised the transfer to The Almería and Alhamilla Railway Company Ltd of 63 Billiter Buildings, Leadenhall Street, London.
? The three Jung engines may have arrived. 4 Oct Requena, sought in to change the inclined plane to an aerial cable. Approved by RO.
? Nov The Mining Journal announced that mineral from the cable had arrived in Almería.
? A number of small piers constructed to take ore to waiting boats.
? An additional cable is constructed to the Alfaro mines.
? Borner declares the company suspended.
? The Morell Brothers, creditors, restarted the company.
? Dec The Mining Journal announced that the line had changed ownership. 27 Jul Marvel sends a petition to the Ministry for Development.
? I advanced money for the purchase and operation of mines in the Sierra Alhamilla. 13 Feb The railway was completed. 28 Feb The chief engineer of the province examined the line and gave his report.
? May I sent Stone as his agent. However this went badly and Stone passed himself off as owner of the mines.
? Sep Informed of the above I cancelled the powers granted to Stone. Despite this, the plot continued, aided by A Guzman and Ramón Laynez, former representative and lawyer for Marvel in Spain. Thus they achieved the ruling by default against me. 9 Oct By bribery Guzman and Laynez achieved the RO that validated the transference to Stone.
? The above people again transferred the concession and created the Almería and Alhamilla Railway Company that had no capital other than the concession. Stone then pretended to authorise debentures to the value of £32,000 that he shared with Laynez.
? Stone died and Borner declared the company bankrupt. Items from the railway were stolen by the above and others. The foundation stone has been sacrilegiously moved from its position. The box containing history, records, money of the time, and the document signed by the officials and many others has been stolen". 26 Oct The concession to be transferred to the Morell Brothers as the subsidiary, The Alhamilla Railway Co.
24 May The transfer formally completed.
? Morell was liquidated and the railway and Alfaro mines were sold to the Alquife Mines and Railway Company Ltd., for 400,000 pesetas. 19Jul George Horley Balmer presented a paper in the name of Alquife requesting a concession for a line to El Cable Ingles. 9 Oct The application was approved.
? Jun The company sought permission to close the line. Permission was denied.
? Jul A subsidiary of the Alquife, the Chorello Almería Railway Company Ltd. took over the line.
? Mining ceased and the line mothballed. 29 Mar Telephone line destroyed in a storm. 1 Apr Company abandoned the line. 21 Sep The state formally seized the line. 31 Jan Another gale blew off the roof of Almería station. 17 Feb The line placed under the jurisdiction of the Council of State Railways. 21 Jul All the goods of the line handed over to the Council.
? During the Civil War much of the stock and lines stolen or burnt. 31 July A report stated that very little was left of the line. The State delegation for the purchase, requisitioning and distribution of scrap metal became interested in the rolling stock at Almería. 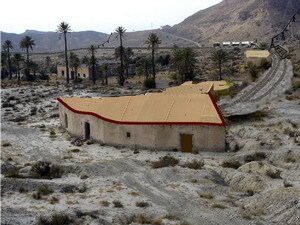 28 Oct The guard in charge of the station at Almería, José Gómez Reyes objected to his superiors that he had received no notice that this use (removing scrap) had been authorised. 9 Jan The Spanish Traditional Falange and JONS demanded the handing over of the rails at Chorillo to build the Fisherman’s Barrio in Almería. The state administration for railways, EFE objected strongly, saying that these and other materials were needed for various railways. 22 Jan By order of the Almerián civil Governor, Rodrigo Vivar Téllez seven bridges of the Alhamilla Railway were demolished and a bridge across the Belen Rambla built from them. 20 Mar The Almerian Civil Governor intervened on behalf of the Falange. 27 Mar The chief engineering director of EFE, Alizandro Mendizábel Peña said that the above materials belonged to EFE and would not be given over. 21 May Meeting with the inspectorate to settle dispute. 4 Jun Peña ordered that 600 kg of scrap copper be sent to Vitoria from Valverde for the Basque-Navarre Railway. The Jung engines may have gone at about this time. 17 Jan Juan Zubia Ugarte, with the head of Linares line arrived to arrange retrieval of material. 6 Feb RENFE said it had no transport available. 4 May Last material sent by RENFE to Valverde and Linares. 30 Jul 54 bronze bearings and 70 kg of scrap iron bought for Linares tramway was reported stolen.